The history of Hokkekyoji goes back to the year 1260 when Nichiren Shonin fled the Matsubagayatsu Persecution. He escaped to Shimousa where he relied upon Jonin Toki, who was a devoted follower and prominent local patron. In August 1260, Hokke-do was built within Toki’s residence. Hokke-do became Hokkeji and evolved to become Hokkekyoji over time. Nichiren Shonin conducted his 100-day, sit-in lecture there between the end of the year and spring. Accordingly, this temple is regarded as the sacred site of Honge Shoten Borin (Nichiren Shonin’s first preaching of the Dharma). Another prominent patron, Jomyo Ohta from the nearby area of Nakayama, built Jibutsu-do on his property. Jibutsu-do was blessed by Nichiren Shonin when its construction was completed and later became Honmyoji. Jonin Toki became a priest after Nichiren Shonin passed away in 1282 and changed his name to Nichijo. In 1297, Nichijo made a rule to keep all the documents left by Nichiren Shonin at the temple in order to protect them from getting lost. All the documents have been kept safely to this day and are kept in the Shogyo-den. When Nichijo passed away, the son of Jomyo Ohta, Nichiko, became the second priest of Hokkeji and established Honmyoji as well. From that point forward, the main priest oversees both temples together. This system is called, Ryozan Isshusei (one head priest for two temples). After Nichiko passed away, Nichiyu became the third priest of Hokkeji and Honmyoji, and he invited an important patron, Tanesada Chiba, to head the congregation. 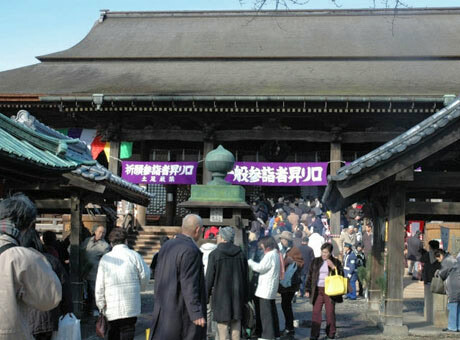 Tanesada generously contributed a large amount of land to the temple to secure the temple’s financial situation. Nichiyu vigorously spread the mission, chanting the Lotus Sutra and copying the Sutra. 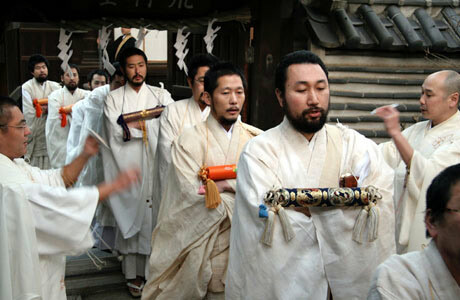 He also made many pilgrimages to Minobusan. These visits resulted in his disciple, Nikka, (who was from an artistocratic family) making financial contributions to Minobusan. He also gathered documents written by Nichiren Shonin and created an index of them.